Making your hospitality venue compliant with current safety laws and requirements easily? Safesmart is working closely with hospitality venues in your area and has previously worked with the British Institute of Innkeeping (BII) to create easy to use and cost effective compliance procedures for Fire Safety and Health & Safety legislation and other regulatory requirements. Safesmart’s answer to the problem is the Smartlog 4 Hospitality system. This cloud based online system is used by hotels, pubs, restaurants, inns and clubs across the UK. Smartlog 4 Hospitality makes the management of fire safety and health & safety risk and compliance simple, easy and inexpensive. The Smartlog platform puts all compliance requirements in one place. 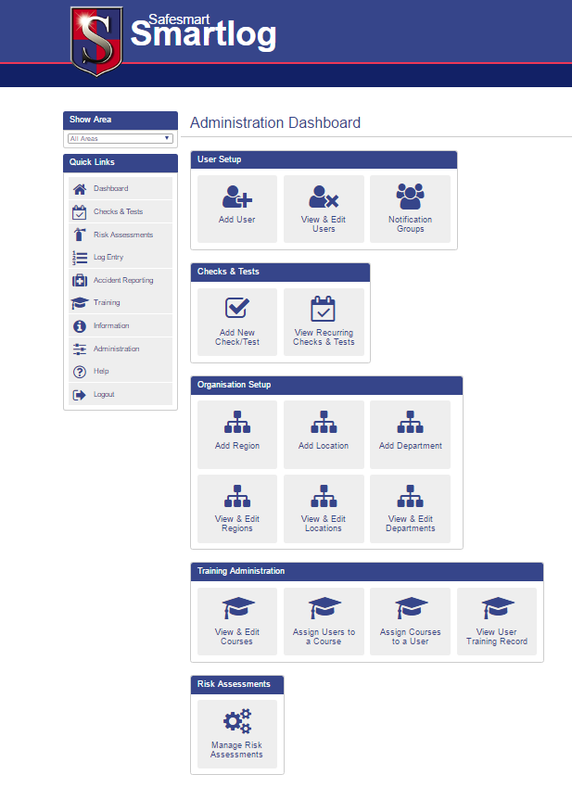 Smartlog 4 Hospitality is advanced and affordable health & safety management and training software for unlimited users. • Self-monitoring Risk Assessments – Fire, COSHH, Asbestos, Legionellas, Work Place Safety Inspections, Agency Workers and DSE Assessments plus for other care related needs. You can also create your own custom interactive assessments so that all of the appropriate risk assessments are alerted, actioned and documented online and in real time. • Audit Trail – Alert system means you will never miss an important issue again and when you are assessed you can prove who did what and when they did it. Every action is time stamped. • Automated checks and tests – Automatic reminders with a management escalation facility. When a staff member is assigned a task, Smartlog will alert them of what needs to be done and when. If after 1 week they still haven’t completed the task Smartlog will automatically email them and if necessary their manager a reminder (3 levels of escalation). This will ensure that important tasks are never missed. • Free Support – Expert support for system plus health & safety and fire safety queries via phone and email at no additional charge. Safesmart have also created an iOS app that is included free of charge to provide offline Smartlog functionality so that Risk Assessments and Checks & Tests can be completed wherever you are, without the need for Internet, Wi-Fi, 3G or 4G. Can you be certain your hospitality establishment isn’t paying too much to be compliant? We know how expensive the costs of compliance can be, and how cost management is paramount at all times. We can significantly reduce your servicing & maintenance costs, and break down all those costs for you, so you know EXACTLY what you’re being charged. No more hidden charges. Currently with Safesmart, the average hospitality establishment can save between £500 and £2500 every year on servicing and maintenance and other compliance related costs. 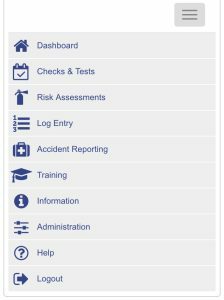 The Smartlog 4 Hospitality portal provides ALL of your Fire Awareness and, Warden training for all staff, and many other training courses as well as providing interactive templates for self monitoring Risk Assessments for Fire, Health & Safety and any other assessments your establishemnt might need or want. It also entitles you to reduced service and maintenance costs. As a Smartlog 4 Hospitality customer, Safesmart will provide telephone and on line support to you at no additional cost. Safesmart can provide cost effective, professional consultancy help to work through the initial set up and give advice on all aspects of Fire and Health and Safety legislation for hospitality. We make fire & health and safety compliance quick and easy for all hospitality venues: restaurant, pub, hotel, leisure centre etc.